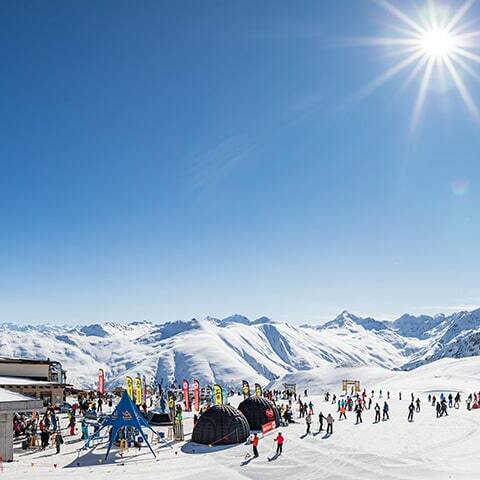 Sun, snow and the good life on the peaks of Livigno. Enjoy a simply great day in the mountains with your nearest and dearest. Get a view like none other of Livigno from the mountain top. Revel in the vibrant atmosphere of the high mountain huts. Indulge in local food and wine. Share your photos and create Instagram envy. The Sunpass is just the ticket for non-skiers. A Sunpass lets you travel on either of the Carosello 3000 San Rocco or Livigno Centro gondolas. Get to the mountain huts of Carosello 3000 (2797 m) or Costaccia (2360 m) and let your breath be taken away by the views of the towering peaks and the valley below. Take your pick from the choice of restaurants, put your feet up on the sun terrace and let your hair down at the parties and concerts. 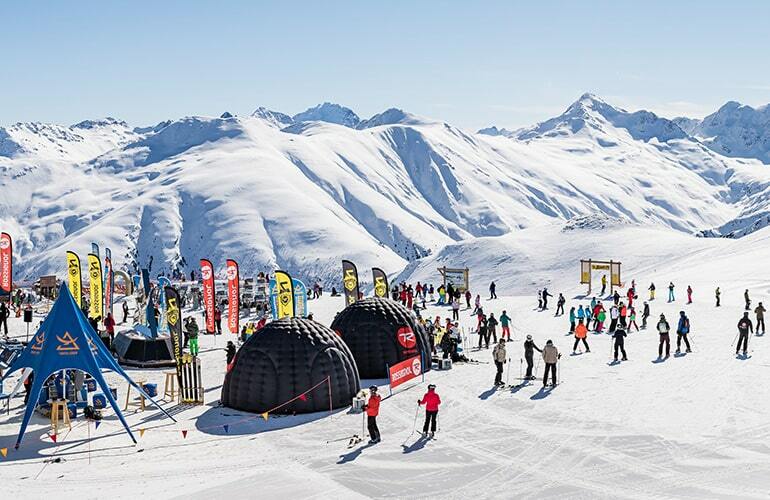 Sunpasses are available to buy from the ticket offices at both the San Rocco and Livigno Centro gondola stations. Both skilifts are open from 8.30 a.m. til 4.30 p.m.
• Sunpasses are valid for use on either of the Carosello 3000 San Rocco or Livigno Centro gondolas. • Multi-trip Sunpasses can be used throughout the winter season. • Sunpasses are personal and non-transferable. Both journeys on a round trip ticket can be used on the same day. • A family is a nucleus of 2 or more persons in which at least one is a youngster born between 2002 and 2009. Each additional person within this age range will pay a supplement of only € 7.00 for each ride. The Sunpass is valid for use on either of the Carosello 3000 San Rocco and Livigno Centro gondolas.